It’s true. You can find snow in the South. Honestly, it’s not that hard to find. From Georgia to Tennessee to North Carolina and Florida, even the Deep South has places to find the white stuff! You just need to know where to look. Don’t worry, we’ve got a list of six places you can find snow in the southeast (often without dealing with the cold weather). 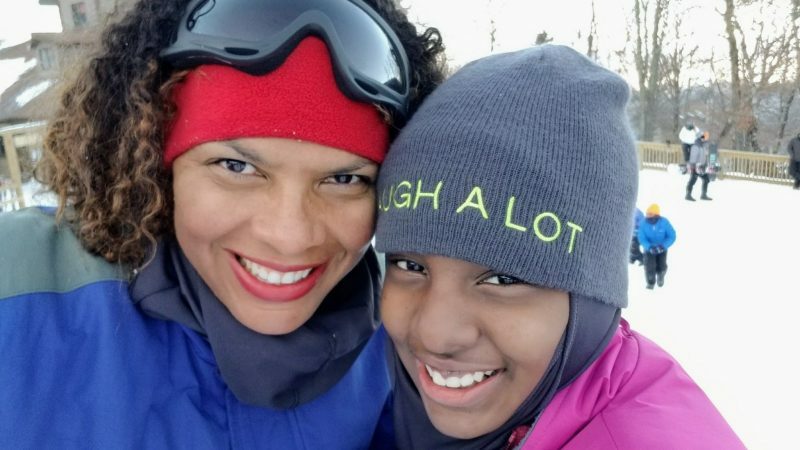 While friends in the Northeast and Midwest are digging out of winter storm after winter storm, many Southerners are eager to find snow anywhere we can. Although the South is most known for freezing rain rather than inches of snow, there are select places where snow can be found in winter! 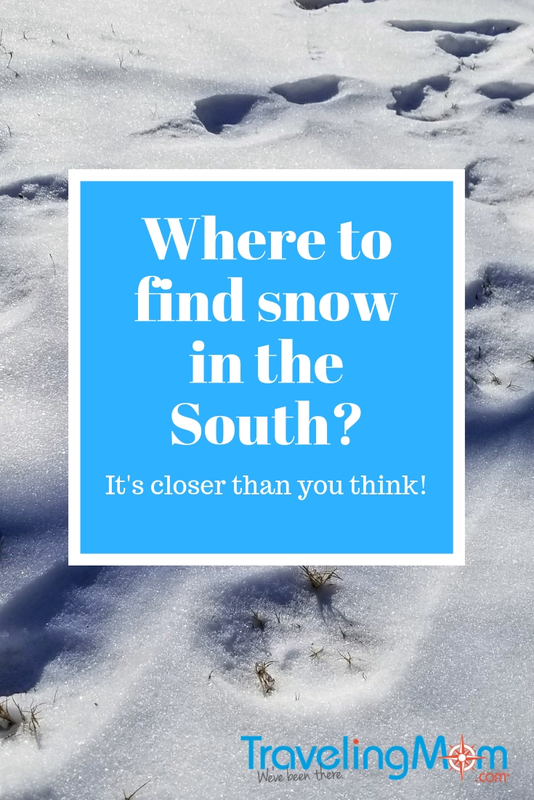 Here are 6 places to find snow in the South. And you don’t have to wait for a once in a decade storm either. If you want to see real snow and feel the cold air of a northern winter, head to the mountains of North Carolina. 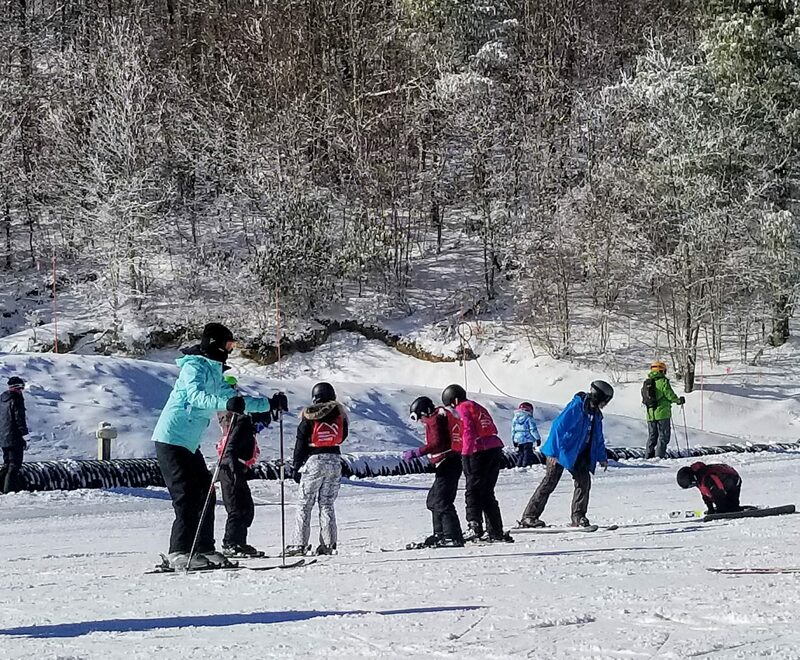 The North Carolina ski resorts are the perfect place for southerners to experience the fun of snow skiing or snowboarding close to home. There are several ski resorts in North Carolina (some very close to the South Carolina border). Resort areas include Beech Mountain, Sugar Mountain, Wolf Ridge and others. They also utilize snow-making machines, so even if there isn’t much “real snow” there can still be skiing in North Carolina. My favorite place to ski in North Carolina is Beech Mountain Ski Resort. It has the highest elevation of any ski North Carolina resort with 17 trails, 8 lifts, and 95 skiable acres. It also boasts the only high-speed quad lift to get skiers up the mountain fast. When mother nature doesn’t provide the snow, Beech Mountain Resort will make it. Before you go, check the snow reports, though there’s a good chance you will see snow fall from the sky throughout the winter season. 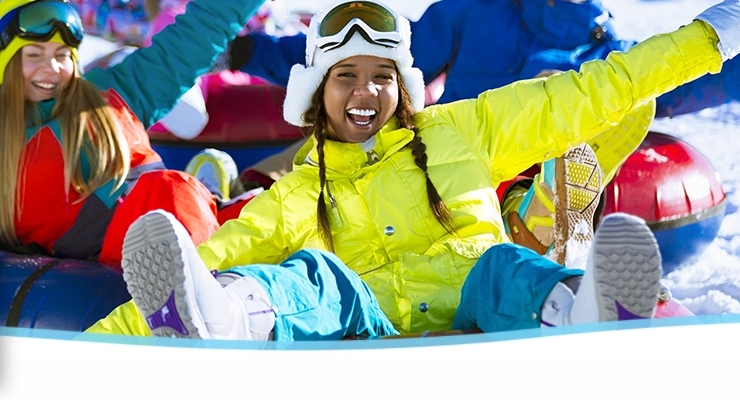 13 essential ski items you absolutely need for your next ski vacation. Ober Gatlinburg is Tennessee’s best-known ski resort. While it counts on Mother Nature to help get its slopes ready, it also uses warm-weather snowmaking technology. The ski slopes open in mid-December and typically close in late March. In addition to the ski slopes, they also have a Ski Mountain Coaster, ice skating, snow tubing, a Scenic Chairlift, snowboarding and more. A special snow zone called Cubbies is for little ones under 48 inches to enjoy some fun in the snow in an area dedicated for them. They also offer the OGFT, or Ober Gatlinburg Freestyle Terrain, to let skiers and snowboarders get as creative as they want. If you’re looking for something to do off the slopes, Ober Gatlinburg’s Wildlife Encounter is a good option. Although the black bear family may be in hibernation, you can still see the river otters playing, the birds of prey and various native Smokies animals in a special Nocturnal House. Yes, you can find snow in Georgia! It’s always a snow day when Snow Mountain is in session! Located just outside of Atlanta, this winter wonderland lets you enjoy manufactured snow without dealing with cold weather or pesky annoyances like school closings. Stone Mountain Park opens Snow Mountain each November and run through February. (This year it will close on February 24, 2019.) It includes 400-foot snow-covered tubing hill for individuals, as well as a family run. There is a Snow Zone place to throw snowballs and build snowmen, and you can even roast s’mores too. In addition to the larger runs, the Little Angels section is built for smaller children less than 46 inches tall. If you need more to do before or after your snow tubing session, you can always enjoy the attractions at Stone Mountain Park including the 4D theater, a Summit Skyride to the top of Stone Mountain, live action shows and more. Want to stay overnight? Check out some of Atlanta’s most family-friendly hotels. Lake Lanier Island is known to be a summertime fun spot, but it is also a fantastic place to find snow in the South! From November through February, it is transformed into a winter wonderland. License to Chill Snow Island at Margaritaville even has the fastest snow tubing hill in North America. License to Chill Snow Island includes 13 winter-themed carnival rides. It has ten 400-foot long snow-tubing hills, an ice skating rink, snow play areas, sleigh rides and more! Even if there’s not a trace of snow in the long-range forecast and winter weather is staying above freezing, snow can be found here! Football, sweet tea and skiing? You can head to Alabama to find snow in the south. About 90 minutes from Birmingham is Cloudmont Ski Resort. Located at an elevation of 1,800 feet, it will be colder here than down in the rest of the state. Cloudmont Ski Resort has incorporated advanced snow-making equipment to make sure there is snow when you want it. As long as the temperature goes below 28 degrees, there will be snow. Cloudmont has two slopes which are geared toward beginner or intermediate skiers. Although Alabama skiing may not be quite as challenging as shredding the Colorado slopes, it’s also a lot less expensive. Cloudmont is a great option for first-time skiers or you just want to see some white stuff. No sense spending a ton of money to go to Canada to find out you don’t really like the snow! People go to Orlando for many things…snow isn’t usually one of them. However, during the winter months, you can see Mickey Mouse and snow in the same day! 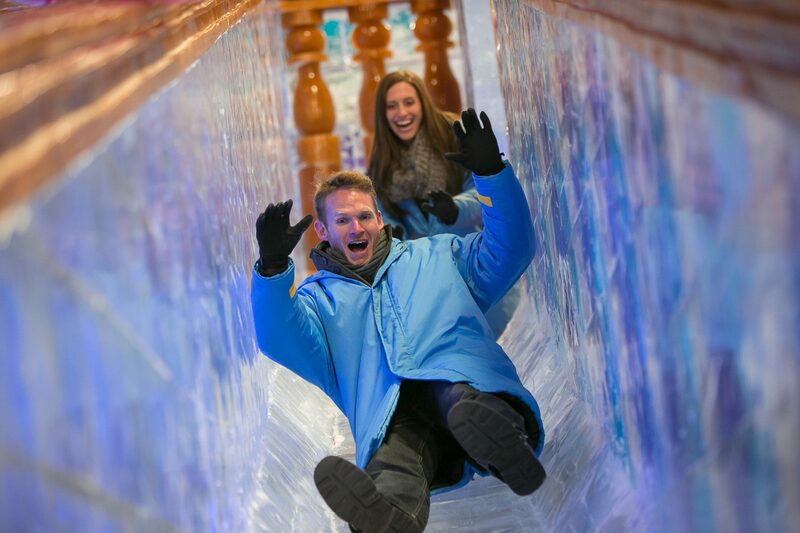 Gaylord Palms Resort, minutes from Walt Disney World, offers guests the ability to experience the freezing cold at their family-friendly Ice! experience. Check out the best places to find cheap eats at Disney World. At Ice! at Gaylord Palms, there is snow tubing, ice slides, a snowball throwing area, and two million twinkling lights to make it all extra magical. Be prepared for the cold though! It is kept at a chilly 9 degrees. Guests are provided calf-length, hooded winter coats to keep them warm, but long pants and closed-toe shoes are required. Hats and gloves are recommended and are available for purchase if you didn’t remember to pack them next to your swimsuit. 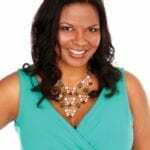 Look for overnight stay options to get the most for your money. Gaylord Palms Resort is one of the most beautiful family-friendly resorts you’ll ever see! So good to have reasons to own a sweater in the south! I particularly love Beech Mountain year round.